In this new P.I. 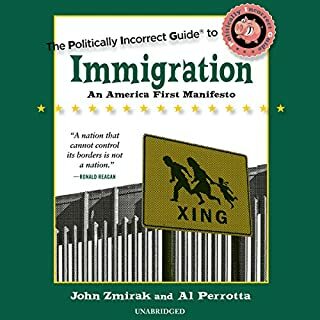 Guide, Williamson reveals the truth: despite what the liberal politicians and leftist pundits would have you believe, the policies coming out of Washington today are nothing more than socialism disguised as equality and justice for all. Tracing socialism back to its roots, Williamson defines this misunderstood ideology, explains the different forms socialism takes on, and shows how it is thriving right here in the United States in the form of “Obamacare”, financial regulations, and more. 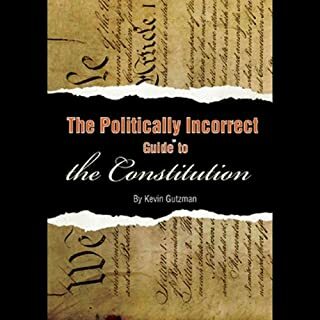 Offering conservatives the political and rhetorical ammunition they need to combat the liberal lies about one of the most misunderstood ideologies in modern history, The Politically Incorrect Guide to Socialism reveals why everything socialism purports to do, the free market does better. ©2011 Kevin D. Williamson (P)2011 Blackstone Audio, Inc. Some difficult concepts which I needed to hear s 2nd or 3rd times. I will recommend this course! milk prices. The government sets milk prices who are they looking out for? not the guy staring down a dry bowl of count chocula ... 😁. my favorite quote in the book. they will not teach you this in college Orr High School. this should be mandatory reading covers how the left has slowly socialize the schools medicine and the justifications that are used. Clearly presents the essence of the argument. The argument against capitalism whether from the socialist, communist, or progressive has always been framed as degrees of caring for the less fortunate vs the cold capitalist. That is not the argument at all as this book clearly explains. I got this book to learn about socialism simply because I felt I had no real clue what socialism is, and the folks I asked all had different opinions. I now realize that I'm one of the few people who actually understand what socialism is. I'm shocked now how easily I had bought into socialist programs before, not even realizing the pitfalls and problems lying ahead because of it. What's more, I'm a business consultant, and I'm even more shocked to see how socialism keeps making its way into corporate America! I finally understand why many of the programs I've been kicking against are the way they are, and that is giving me the power to actually fix them. 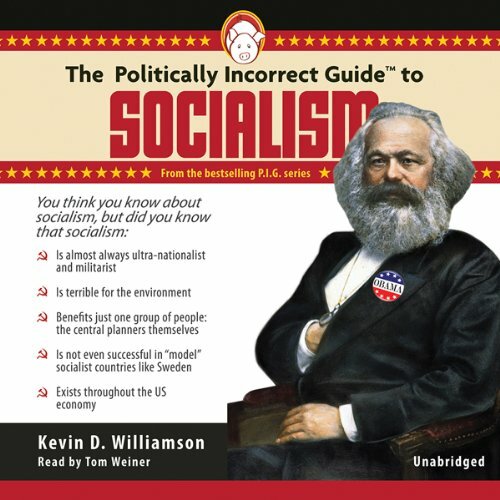 Not only is this book utterly clear in it's explanation by providing two straightforward characteristics that define socialism, it is filled to the brim with surprising examples (at least to be) from around the world as well as here in the United States that serve to demonstrate how socialism works, and how it affects the people that these programs touch. Tom Weiner's performance was magical. At first, I struggled to keep up because the material is both deep and concise, but once the foundation of terminology and meaning was established for me, I actually enjoyed the pace. Throughout the book I kept being impressed with Tom's voice, his casual yet matter-of-fact manner, and his great pronunciation, including of foreign names and words. I will definitely be looking for more books narrated by him. Best explanation of Socialism I've ever read. Explains just how socialist the US already is. 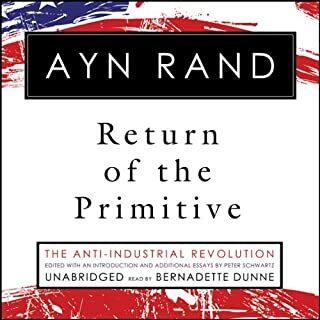 The author makes some very good points about socialism and capitalism, but is very repetitive on his topics of discussion. I knew very little about Socialism going into this book, and thought it was very informative. in America, you get the idea that Socialist are these little heroes who defy the big bad capitalists but the book takes a sober look at how socialist schemes have ruined the environment worse than any BP oil spill or similar catastrophe. 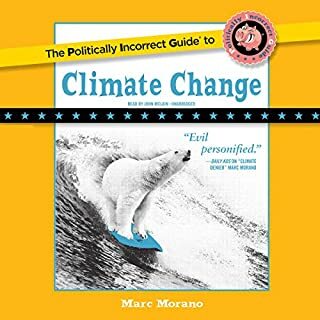 To balance, I think it is fair to also read the politically incorrect guide to capitalism so as to hear both sides and make a fair opinion. Socialism is not completely evil, nor is capitalism. The truth lies somewhere between the two, I feel. 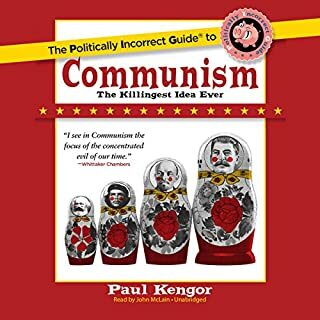 This is a book of arguments to use against Socialism/Communism (the author says they are one and the same) if debating a neo-socialist. Use it and you’ll probably win, given that being woefully ignorant is normal for too much of the country. Williamson outlines major anti-socialist authors since the 1800s and their arguments, then goes on to target recent regimes, particularly Venezuela. He begins each chapter with a pithy quote. 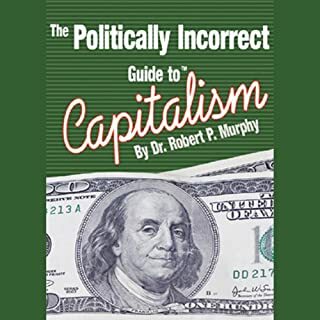 (The problem with Capitalism is capitalists; the problem with Socialism is Socialism--Willi Schlamm, ex-Socialist) It’s a book for the already converted who want an historical rundown, at the same time stockpiling ammo to trounce that idiot you work with who thinks Bernie Sanders had all the right ideas. I was informed and entertained by it but then I’m not a socialist believer. If you are, then listening to this book will be like visiting the other side of the moon. not a fan of either party. hard to follow at times, but very informative. politicans should be ashamed of themselves forever pushing crap onto us. Dear Reader: Do yourself a favor. Read everythig this guy has ever written. Then read an assortment of pieces in the Atlantic and listen to some npr. And decide what you believe.